Want to know how a Virtual Assistant Can Save your Business Money? Have you ever taken the time and calculated the real cost of full time staff? The majority of businesses when asked tend to consider the gross salary and employer tax contributions and leave it at that. However when they take into consideration all costs associated with employing staff, they are actually shocked! As a small business owner, consider the following costs and you can easily take that figure you had in your head and add an additional 40%! Let’s face it, of the average working week of 40hrs, how many of those hours are truly productive? Staff arrive, spend 5 minutes catching up, soon it’s coffee time, a catch up at the photocopier, the odd personal phone call/errand etc. I don’t think I’d be too far off the mark to suggest the 80/20 rule may apply. Hypothetically you could argue that of a 5 day week, 1 of those days could be regarded as non-productive! Go back to that figure you had in your head, add an additional 40% and calculate a 20% loss in productive time, now can you see the benefit of hiring a Virtual Assistant? You only pay for the hours that a Virtual Assistant actually works. As a Virtual Assistant I provide my own office, equipment, stationery and software. I cover my own expenses. I’m experienced in high-level administration and business support. What to do with the money you save. With the money you save in hiring a Virtual Assistant you can concentrate on allocating the cost savings to other areas of your business that will help grow your business further. Guess what, your Virtual Assistant could possibly have the skills required to help you there also! One more added bonus of hiring a Virtual Assistant, if it’s not working you can say “goodbye” at any time, you pay in advance for the hours required. Once those hours have been completed you decide if you would like your VA to continue providing their service. It’s that simple. What have you got to lose? 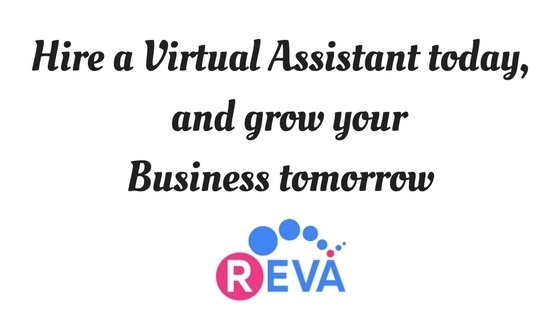 Contact me today by email at vicki.reva.ie and I’d be happy to discuss how as a Virtual Assistant I can assist you and your business today.